Our technology represents the state-of-the-art. Technology increases the performance of our solutions and enables the precise manufacturing of products.  Product technology, such as MASH®, fteu® D3SM and our fteu® MicroPleats, for our solutions and process technologies for the production itself are closely linked. We invest in technology to be able to create function of metal mesh that increase the performance of the systems of our customers. 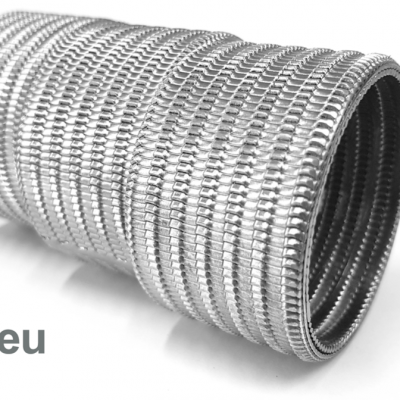 Below you also find further information regarding metal mesh and our core process technologies pleating, cutting, jointing, engineering as well as research & development. MASH® – Material Absorbing Sound and Heat is our exclusive technology for fibre-free sound and heat absorption with metal mesh. Conventional sound absorbers use perforated surfaces in combination with a nonwoven fibre structure (i.e. steel wool) in front of a reverberant wall. MASH® works more efficiently without needing fibres. It achieves a higher sound absorption and features superior characteristics with regard to explosion control, lifetime and cleanability. Fibres are decomposed over time to dust by sound waves. This leads to reduced sound absorption and contamination of the system by the resulting dust. As MASH® works fibre-free the risk of explosion is reduced and absorbers can be easily cleaned without negatively impacting the functions of sound absorbers of MASH®. D3SM (depth-defined slit metal) is a sheet metal with openings that are defined in the depth of the material and with that along all three dimensions. D3SM filters represent the latest technology for filtration in hot gas generators. Filter rings of D3SM redefine and improve hot gas filtration, control all functional variables and reduce performance-weight. 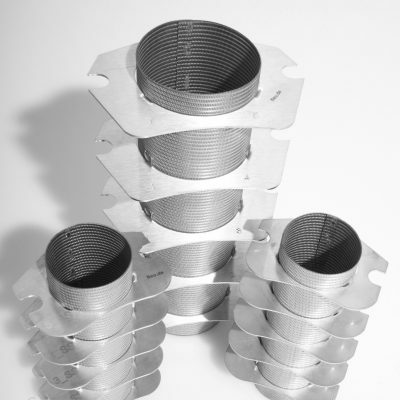 D3SM filters represent an innovative and more capable alternative to the conservative materials knitted mesh, wire mesh or expanded metal – all exhibiting an undefined depth structure and consequently requiring broad tolerance corridors for all performance parameters. MicroPleats are the key to maximized filtration surface in defined spaces. 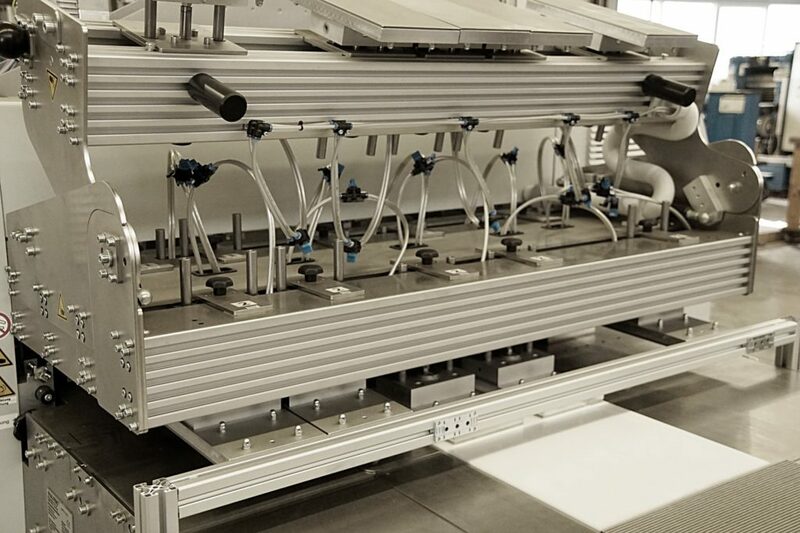 In the quest for more efficient processes, runtimes and lifecycles are optimized through the expansion of filtration surfaces. Increased surface area results in reduced pressures rises while maintained high throughput and reducing wear in industrial processes. With pleating heights between 2.3mm and 3.0mm MicroPleats bring increased filtration area to applications that until now used only flat filtration surfaces because of limited available space (conservative technology only allows pleating height with metal mesh structures of approx. 5mm and above). Our functional elements are made of metal mesh. Metallic elements are superior to elements of other materials, i.e. plastics or glass fibres, in different areas: metallic elements show their advantages in environments that feature high pressures and high temperatures. They are especially suitable for applications with long lifetimes and can be reused after cleaning. For the production of our products we predominantly use stainless steel, which avoids corrosion and other unwanted reactions. 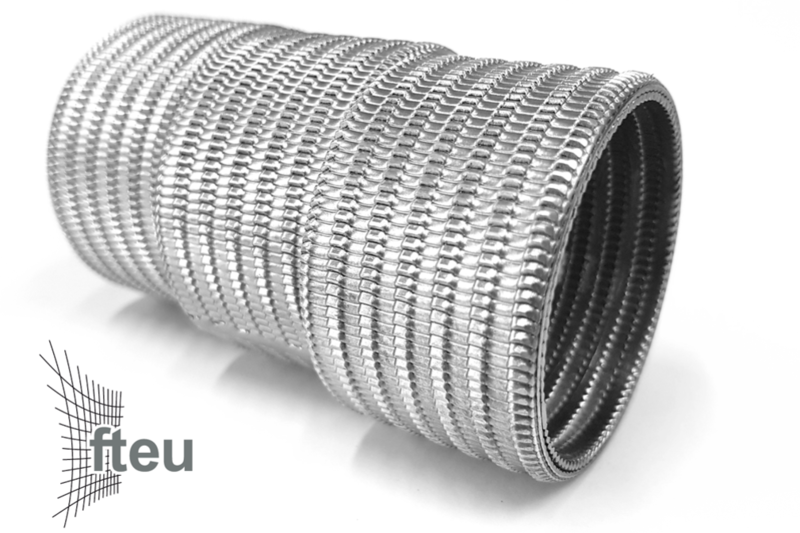 Metal mesh encompasses wire mesh, metal fibre felt, and sintered laminates. 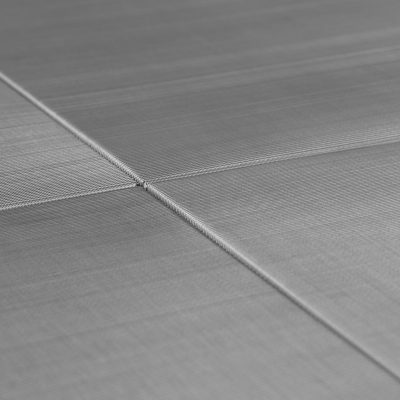 Wire mesh features defined structures and is available with a fineness down to 10µm. Using various weaving patterns and resulting different pore shapes we design our elements to exploit the material characteristics impact on the process and product of our customers. The use of metal fibre felt is relevant for solutions that require a fineness of down to 1µm. 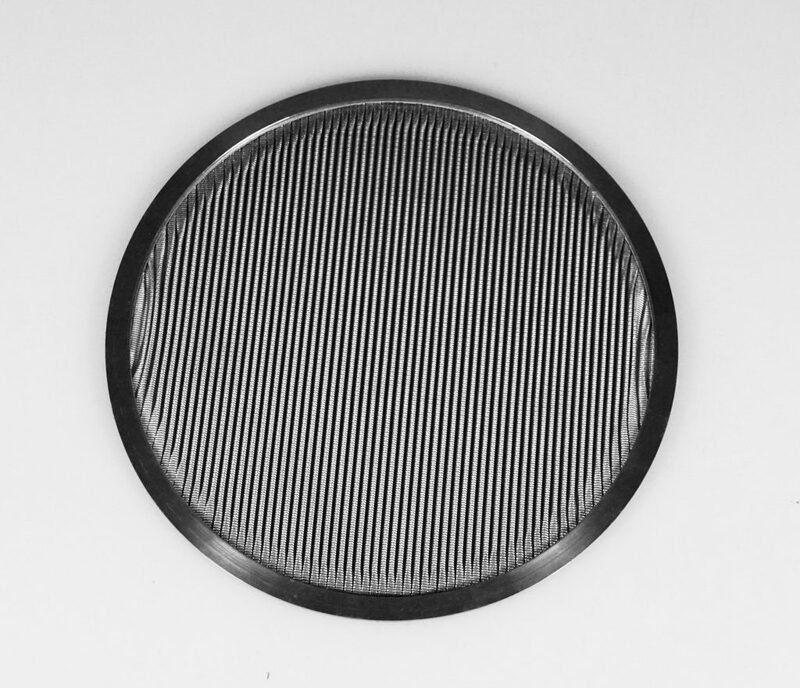 In contrast to wire mesh, metal fibres felt features undefined structures leading to higher differential pressure and undefined fluid flow through the filtration layer. Consequently, wire mesh offers structures that are more suitable for cleaning and backflushing than metal fibre felt. Metal fibre felt is the material of choice for smaller fineness or the filtration of low-viscosity fluids. Wire mesh and metal fibre felt can each be combined in various specifications and also with each other. This leads to multi-layered solutions with different separation phases and optimized process characteristics for our customers. A specific configuration of combining different layers are sintered laminates. With sintering of multiple layers all layers are jointed and cannot be moved to allow constant process conditions. To support stability, to improve dispersion, or a as rough filtration layer we use support structures of perforated metal or slotted screens. While perforated metal only features a two-dimensional structure, slotted screens are made of jointed profiles that created a three-dimensional and flow-optimizing structure. 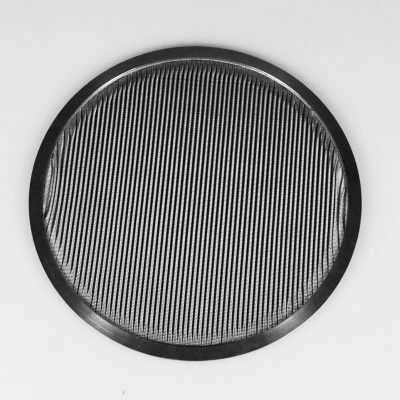 We offer filtration elements with a pleated surface area to increase the dirthold-capacity and reduce the need for frequent filter changes or cleaning cycles. To create optimized filtration elements demands with regard to surface area as well as available space of to be addressed. The surface area is maximized by increasing the pleat count on an element and the height of a pleat. However, the environment and process parameters for the application of a filter element represent a limitation for the space that may be occupied by an element in the customer’s system. We are capable of pleating with a maximum pleat height of up to 7mm and a width of 1000mm. This allows us to increase the surface area of a filter element with a factor of up to 7 (700% of the flat area). At the same time with our innovation fteu® MicroPleats we bring pleats to applications with little available space. The path from wire mesh roll or metal fibre felt sheets to functional elements start with the cutting to a defined dimension with the required precision. Therefore we use several different cutting technology to account for the specific characteristics of a material with regard to structure, fineness, and wire/fibre diameter. The mechanical cut with blades is the established technology for the fast cutting of standard specifications. Cutting as a continuous process (for wire mesh off the wire mesh roll) is significantly faster than other technology, but has limitation in the edge quality that can be achieved. The mechanical cut cause open wires at the edges of the cut material. These wires have to be manually extracted or cut before further processing of the material. The mechanical cut is performed on machinery with stationary blades that cut straight. For the cut of specific shapes in high quantities metal mesh stamping tools are used. Thermal cutting results in an even quality at the edges. Through the injection of heat fine wires at the edges are jointed and allow the direct processing and ergonomic handling of the material. The thermal cutting can be applied for a large variety of wire/fibres respectively metal mesh specifications. 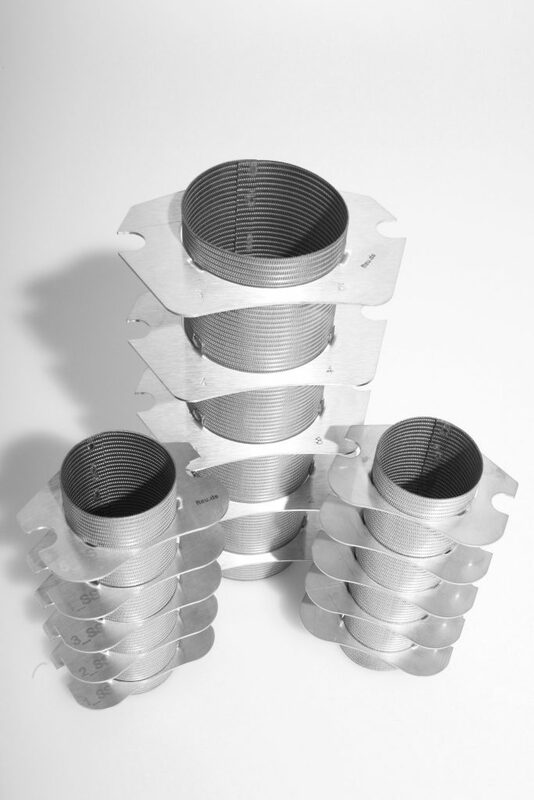 For the thermal cutting with plasma or laser we use movable cutting heads. 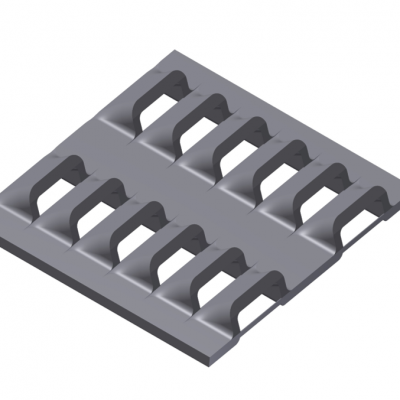 Using fixed and NC-driven fixtures various shapes can be cut without the need of product-specific tooling. Our functional elements are assemblies of several components. 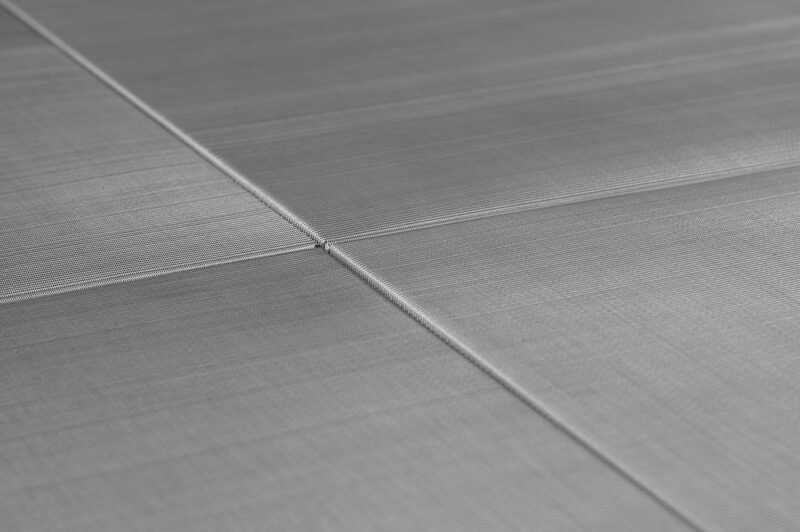 Precise jointing is a key technology for the manufacturing of metal mesh elements of high quality. Joints ensure the technical function of a product beyond shape and stability: they need to feature consequent impermeability to separate the clean and the dirt side of filtration elements. The material used for jointing need to possess the same chemical, mechanical and thermal reliability as all other components. Depending on the customer application and its demands we use the entire spectrum of available jointing technologies: frictional connection created by pressing or clamping as well as adhesive bonds or metallic continuity with welding, bonding, or brazing. Pressing or clamping is most frequently used to joint metal mesh with frames or end caps of functional elements. Pressing and clamping are comparatively quick processes that do not require any separate bonding material. The use of these methods depends on the application of the product and the specific combination of functional media and components as the directly influence the impermeability that can be achieved. Adhesive bonds are created by bonding and welding as well as brazing create metallic continuity. For jointing of metal parts a variety of different welding technologies are available. The use of modern technology and the continuous development of welding technology for production of functional elements of metal mesh is a focal point of our activities in production development. For specific applications, we use adhesives that are optimized for the process characteristics of our customers. Bonding is a quick jointing method that is less precise than welding technology. 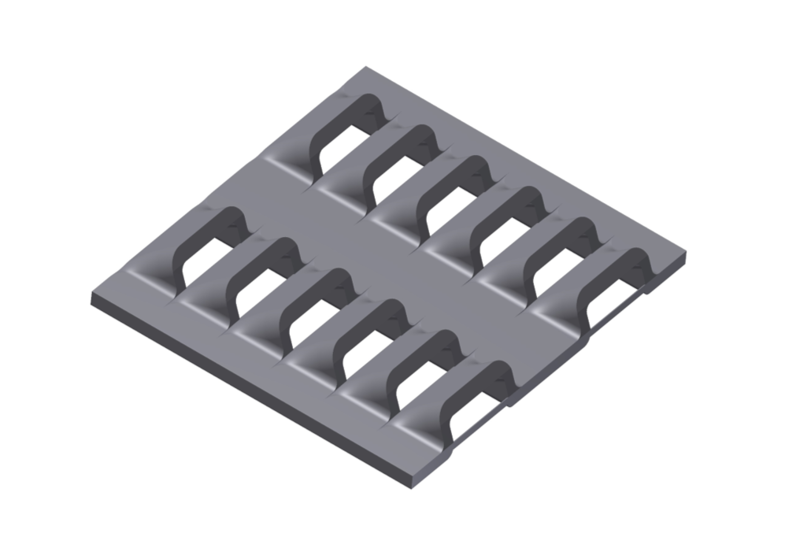 Depending on the specification of an adhesive joints feature a higher elasticity than welded joints. The quality of our products and our services for our customers are our first priority. Basis therefore are precise products which are developed and manufactured based on the demands of our customers. We achieve this through engineering that integrates the technical requirements of a product and the state-of-the-art in production technology. In our engineering we design functional elements that empower our customers to achieve an improved performance of their systems. With technical expertise, the engineering is the interface between sales and production. Our focus on metal manufacturing as well as processing and production of metal mesh allow us to create products with our know-how that meet the demands. For every product, we define a design and derive the parts list. Basis for that is an open dialogue with the customer through our technical sales department to optimize function, exploit manufacturing space, find ergonomic solutions, and extend runtimes to create new solutions with added value. Our engineering also gives impulses for the development of our capabilities to be able to offer improved better products and services in the future. This drives us in future projects regarding fluid simulation, tool-free manufacturing and innovative material specifications. 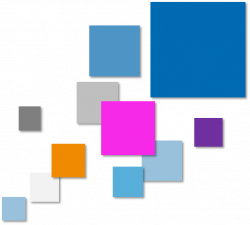 For precise and technology-oriented processes we use a continuous quality chain at the state-of-the-art. To consequently achieve this and to develop our products further, we focus on R&D and work quantitatively. In our laboratory, we measure the material we use, the performance characteristics of produced functional elements and print prototypes. We inspect the geometry and test the stability of our products in between process steps and after finalization of the manufacturing process. Excellent technical characteristics starting from the wire up until we have created a complete function element are an essential part of our quality concept. Specifically, for newly designed products we make sure that the intended function of our product is actually realized in the processes of our customers. We test and verify the properties of our functional elements before they reach the customer. For filtration solutions we measure the actual fineness and permeability of our products. With regard to acoustics projects with MASH® we measure all parameters that may affect the acoustic performance of the material. This allows our customers to rely on our processes and trust in our products. Today we use additive manufacturing to create prototypes quickly using 3D printing. This makes ideas concrete, accelerates the development process, and improves the transparent dialogue with our customers. 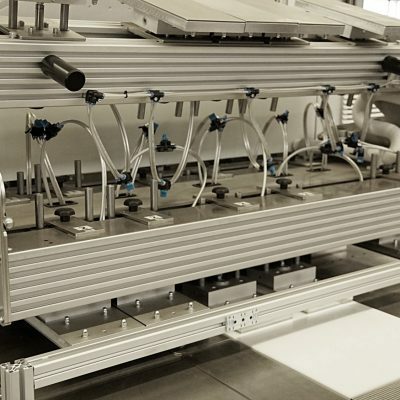 3D printing technology for the creation of precise filtration media has no yet matured in a series technology. Regardless the technology already allows us to improve our performance for selected applications.